Could Workplace Drug Policies Aid in the Opioid Crisis? 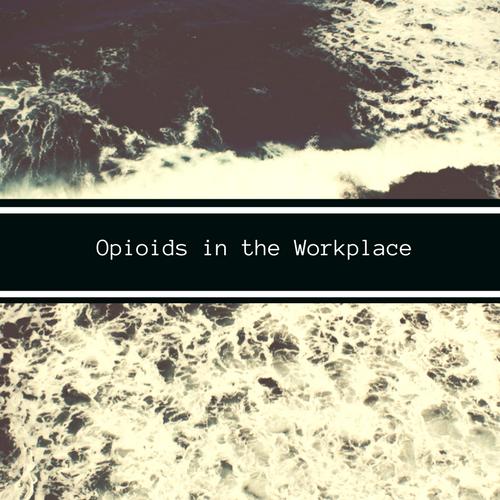 | Challenger, Gray & Christmas, Inc.
Could Workplace Drug Policies Aid in the Opioid Crisis? The impact of prescription drug abuse that was touted as a major crisis during the presidential campaign and continues to devastate American families has been measured in the workplace, according a survey by the National Safety Council. The cost of losing valued employees to a drug dependency is substantial, not only to the company, but also to society at large, according to one workplace authority. “The opioid crisis is unique in that a considerable number of these addictions start with prescribed pain medication. While many employers feel drug dependency is a disease to be treated like other health issues, many more are willing to terminate the employee rather than aid in treatment options,” said John Challenger, chief executive officer of global outplacement and executive coaching firm Challenger, Gray & Christmas, Inc. In fact, the National Safety Council study found that while 71 percent feel dependency is a disease to be treated, 65 percent of employers see it as a cause for termination. Another 43 percent feel it is a signal the employee cannot be trusted. An estimated 2.1 million people abuse prescription opioids in the US, according to the National Institute on Drug Abuse. According to data collected from 2000 to 2012, those who were prescribed prescription drugs were 19 times higher to move on to heroin use. “With those numbers, it is not surprising that nearly 70 percent of employers have been impacted by prescription drug abuse. However, it is surprising that only 19 percent of workplaces feel well prepared to deal with the consequences,” said Challenger. “It’s difficult to measure how many of those affected are employed, were terminated due to their addictions, or the cost. It is obvious that workplaces can have a dramatic impact on what happens to employees who suffer from this issue, for better or worse,” said Challenger. “Instead of terminating an employee outright, which brings its own costs, employers might consider developing procedures specific to opioid dependency,” said Challenger. While many employers do have drug policies, the National Safety Council study found 81 percent of those policies are incomplete. Thirty percent of workplaces do not discuss return-to-work procedures after completing drug treatment. Another 32 percent do not discuss procedures for taking prescription drugs at work. Over 40 percent do not cover making accommodations for employees who become impaired after taking prescription drugs at work. Moreover, 76 percent of companies fail to provide training to identify prescription drug or opioid abuse in the workplace. Employers do want to help these workers, however. Seventy percent want to help workers struggling with prescription drug abuse either by allowing them to re-enter their former roles or monitor them for the length of their employment to combat relapse. people spend the majority of their lives at work, and if co-workers and employers can intervene and support these workers, the possibility of success is much greater. “Not only will employers keep valued employees, but they can avoid the substantial cost of termination, recruiting, and retraining new staff, in addition to the cost on society,” said Challenger. According to a study published by Walters Kluwer Health, prescription opioid overdose, abuse, and dependency cost the American economy 78.5 billion in 2013. Another estimate from the Office of National Drug Control Policy stated drug abuse and addiction, not limited to opioid or prescription drug abuse, cost society $200 billion in 2007. Meanwhile, according to the Center for American Progress, the cost of replacing an employee who earns equal to or less than $50,000 is 20 percent of their salary. That percentage rises as the base salary increases. The Bureau of Labor Statistics found that, on average, when a new-hire leaves within three months, it costs an organization one and a half times that person’s annual salary. “Employers may find it more worthwhile to invest that 20 percent into programs and policies that will help workers long-term than to lose the money completely. “It’s unlikely the opioid crisis will go away any time soon. If employers become a partner to combat this issue, we may see a significant positive impact toward reducing long-term effects,” said Challenger.